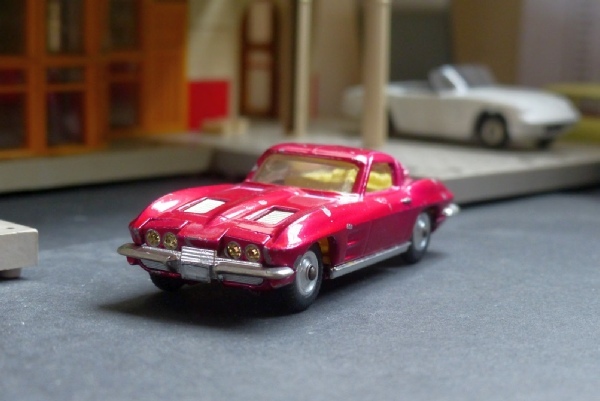 A cerise example which has some chunks of paint missing but the chrome is excellent. It is an early edition with the ‘normal’ wheels and has nice screens and it is raer to see the chrome in as excellent condition as this one. So it is a bit surprising that only the paintwork is so chipped. Oh well. It has an original box but that has suffered a bit and the end flaps are all missing at one end. Available at a good price for this desirable model and it does still look excellent on display, especially from angles where the chips aren’t obvious!